As stylish sounding names go, ‘grandad collar shirt’ isn’t exactly topping the list...but do not be put off by the unflattering title! Grandad collar shirts can be suave, cool and ultra-modern. And (contrary to what rumours some might seek to spread) the best part is they hardly even require any effort at all. See, back in the time of factory workers and rugged old men tugging around heavy machinery, granddad collars were invented kind of by accident when workers found their oversized shirt collars getting trapped in machines, causing injury and being generally a nuisance all round. So they did as was done back in the day and ripped ‘em all of. And thus the granddad collar was created (at least that’s one version of the story, there’s others including detachable collars and Indian police forces but we don’t need to get into all that). But we’re not all sweating from heavy labour in factories anymore, and the time has come where you can wear a granddad shirt without the accompanying flat cap and streaks of grease (a la Boardwalk Empire). 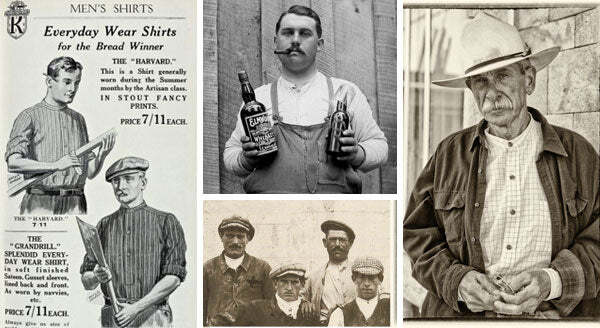 So what was once a symbol of the working man is now an untapped resource of style, and an opportunity to put a quick spin on some both casual and formal shirt outfits. So let’s shake that hard-to-wear label! 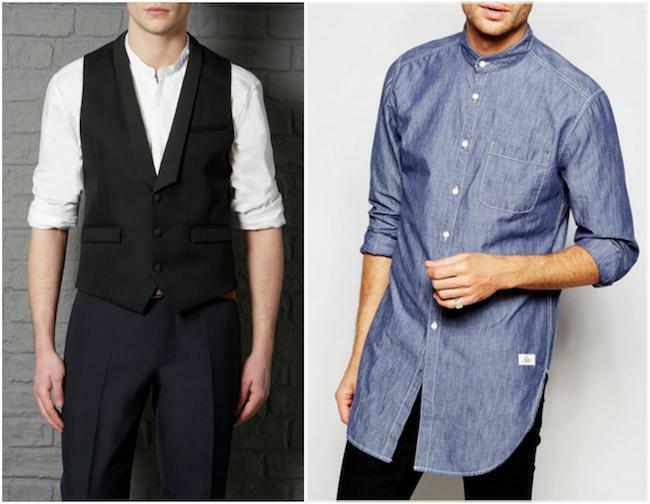 Here are some awesome outfits you can try out right now, featuring the ever versatile grandad collar shirt. Let’s start with the easiest way there is to pull of one of these versatile shirts, and the most comfortable: simply take a black or dark coloured grandad collar shirt - try this Mackson shirt, slip it over a plain white tee and some jeans or chinos, and leave it unbuttoned. There you go – a simple instant outfit, but you’ll also stand out from more typical shirt-and-tee combos. And if it gets chilly, simply layer up with a lightweight Harrington or bomber jacket. Dark shirts always look nice with lighter jeans, but go ahead and play around with brighter colours of grandad collars, matching them up with chinos or jeans that suit them. Just remember not to forget the shoes – black shoes will look more formal, so if it’s a causal look you’re after try wearing a shoe in brown. When it comes to buttoning up your grandad collar, pretty much the same rules apply. Match your shirt with a nice pair of black skinny jeans for a sleek modern look, and remember to choose your shoes with care – black is dressing it up, brown is keeping it casual. Wearing layers over the top of a grandad collar is where some may say it gets complicated, but really, that’s just not true. For starters, pair this shirt with a cardigan and you can’t really go wrong. If you’re not a cardigan man you can go for a lightweight jacket, like a Harrington, or this The Idle Man nylon bomber jacket. Perfect for those casual days when you just want to throw something over the top of your outfit. In fact, the only warmer layer you’ll struggle to match this shirt with is a crew neck jumper, simply because you will probably cover up the shirt collar altogether…or risk it sticking out like a vicar’s collar, which is probably not the look you’re after. So: cardigan or light jacket. Sorted. 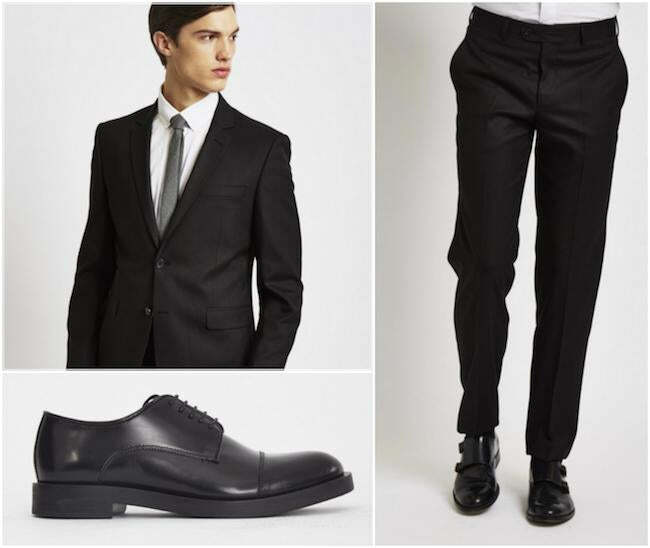 Rest assured, the grandad collar makes for perfect formal wear. And it’s so easy – you can pretty much just substitute it for the ‘normal’ shirt in any of your formal suits, and bam! 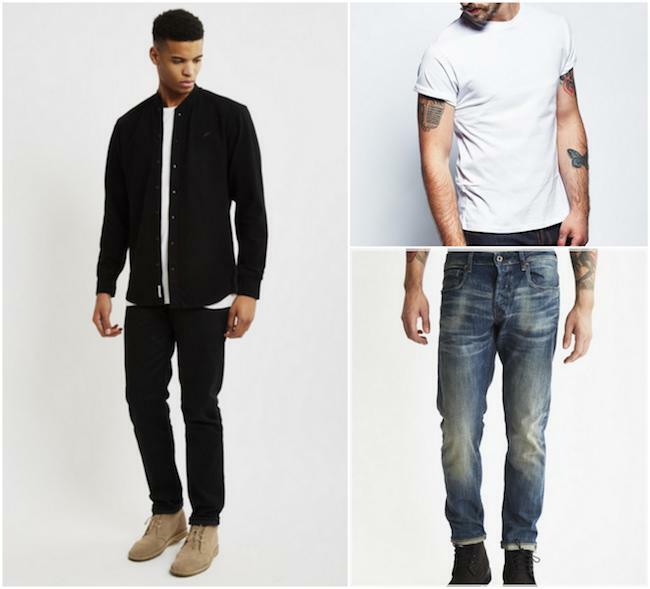 Instantly you’re standing out from the crowd with minimal effort whatsoever. Swap this shirt into a full suit, or match up with slim fit trousers, black shoes, and a smart blazer for an extra stylish formal look. And you can even wear this shirt with a waistcoat. For a warmer take swap your normal blazer for a jersey blazer, or just go all out with this super smart classic peacoat from Schott. There you go. Here's a super cool, really versatile and easy to wear shirt that'll make you look stylish in any situation. Sold on the grandad collar shirt yet? Better check out our shop to make sure you've got one of these in your wardrobe soon.